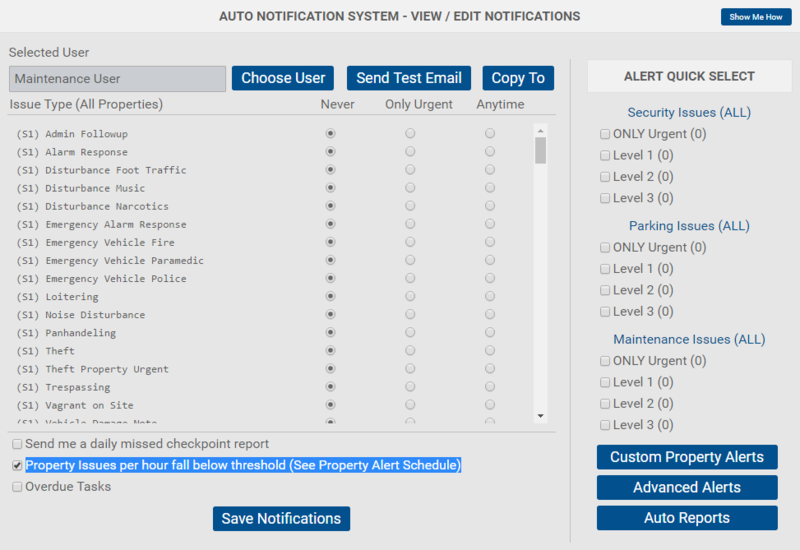 In this article we will go over how to set up the Alerts Feature and how to be notified if an Officer fails to met the minimum hourly reporting requirements. To complete the Alert set up, click Save. Once you have checked that box (pictured above) you can click Save Notifications. NOTE: Make sure the user you select has an email or text set up in their user profile. 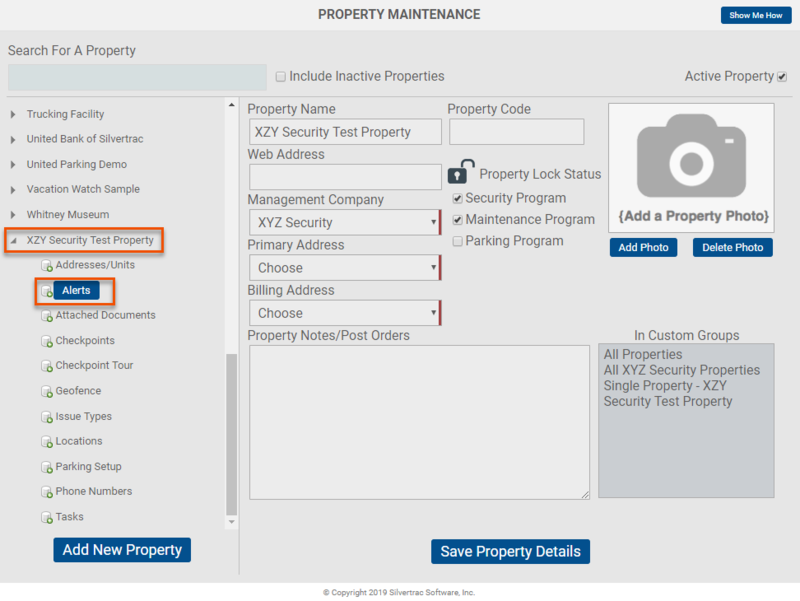 The Performance Alerts Feature enables you to receive real-time alerts when the required number of issues fall below the pre-determined threshold at a specific property. 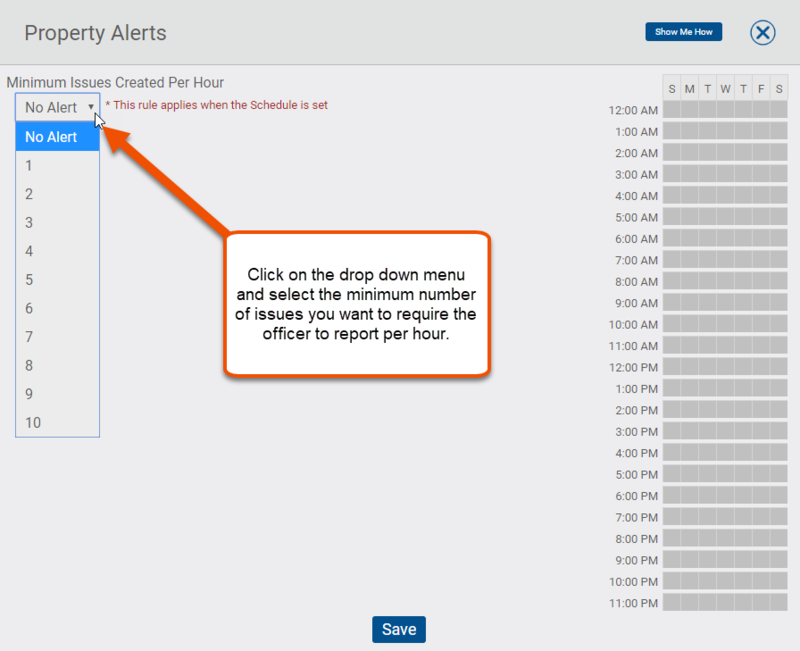 For example: if an officer fails to report 5 issues per hour throughout the shift, from 8:00 pm to 5:00 am, you can (or you can set your supervisors up to) receive a real time alert. 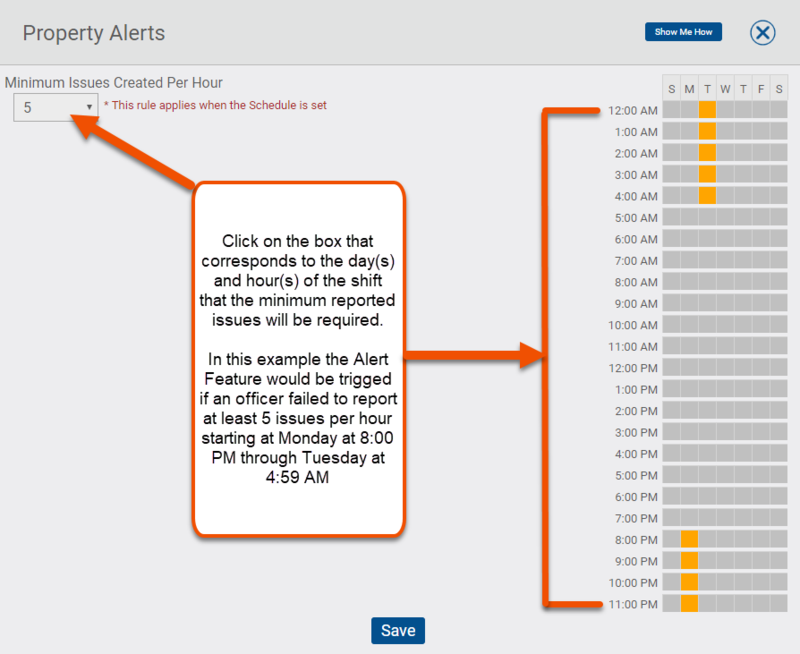 This feature will help you be sure that reports are being generated regularly. It will also help you know when an officer has stopped reporting, which may mean the officer has left the post or has become inactive.